We are leading names in the industry, engaged in trading, supplying and exporting a comprehensive range of Stainless Steel wire. Our entire product range is quality approved and is corrosion resistant in nature. Diameter Range 1.60 mm to 16.00 mm. Owing to years of experience in the industry, we offer an exceptional range of SS 304 Wire that are durable in nature and have high strength. 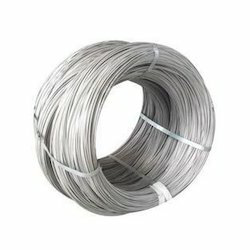 Our range of stainless steel cold heading wires ensures high formability and cold extrusion properties. These wires are free from surface imperfections like seams, cracks, pitting and or scratch / die marks. Diameter: - Range 1.60 mm to 16.00**mm. Uses: - wood screws, machine screws, bolts, buts, rivets studs, balls, pins, building and construction segment, automotive industry and house hold appliances. We are reckoned names in the industry, offering varied range of SS 316 Wire that are sourced from certified vendors in the industry. They are quality approved and are corrosion resistant in nature. Enriched with vast industrial experience, we offer our clients an extensive range of SS 304L Wire that are acclaimed among the clients for durable in nature and are functionally advanced in nature. Owing to years of experience in the industry, we offer durable range of SS 316L Wire that are performance based and are corrosion resistant in nature. Our entire product range has high tensile strength and is durable in nature. We offer them in different technical specifications and are abrasion resistant in nature. 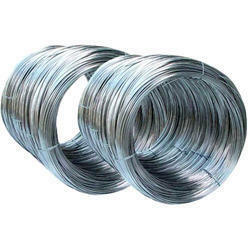 We Keshariya Metal is a leading supplier , stockist and exporter of Stainless Steel Wire. These Stainless Steel 321 is mainly use in Big Industries . *Flag-tagging is available – please inquire. 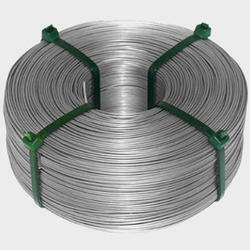 Standard wire diameter (in. ): .023, .030, .035, .045, 1/16, 3/32, 1/8, 5/32, 3/16. 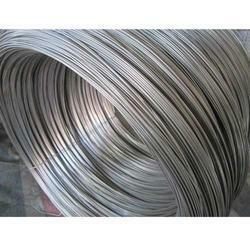 We Keshariya Metal is a leading supplier , stockist and exporter of Stainless Steel Wire. These Stainless Steel 347 is mainly use in Big Industries . Stainless Steel 347 is having a three qualities export bright , polished bright and black . This range of bars is well appreciated by the clients due to high tensile strength, dimensional accuracy and durability. With the properties of corrosion resistance and chemical persistence these bars are available in varied specifications which suit to diverse needs of various industries. Our range of stainless steel wires ensures high formability and cold extrusion properties. These wires are free from surface imperfections like seams, cracks, pitting and or scratch / die marks. Uses: wood screws, machine screws, bolts, buts, rivets studs, balls, pins, building and construction segment, automotive industry and house hold appliances. SS Wire available in 304 stainless steel Wire , 316 Stainless steel Wire. Under the expert supervision of our skilled personnel, we are providing a high quality Stainless Steel Wire. These wires are known for its high tensile strength and corrosion resistance. The offered wires are manufactured utilizing fine quality material in accordance with set standards. We offer the entire range of wires in varied specifications. Customers can avail these wires from us at nominal prices.